An ARCO fuel station and ampm convenience store could join the Sonic Drive-In at the corner of Viking Avenue and Highway 305. A site plan review application has been filed for a 3,180-square-foot store, a nine-pump service station and 1,152-square-foot car wash on the 2-acre site, according to a notice distributed by the city Friday. The station would be served by two underground storage tanks. Plans include parking for 11 vehicles. 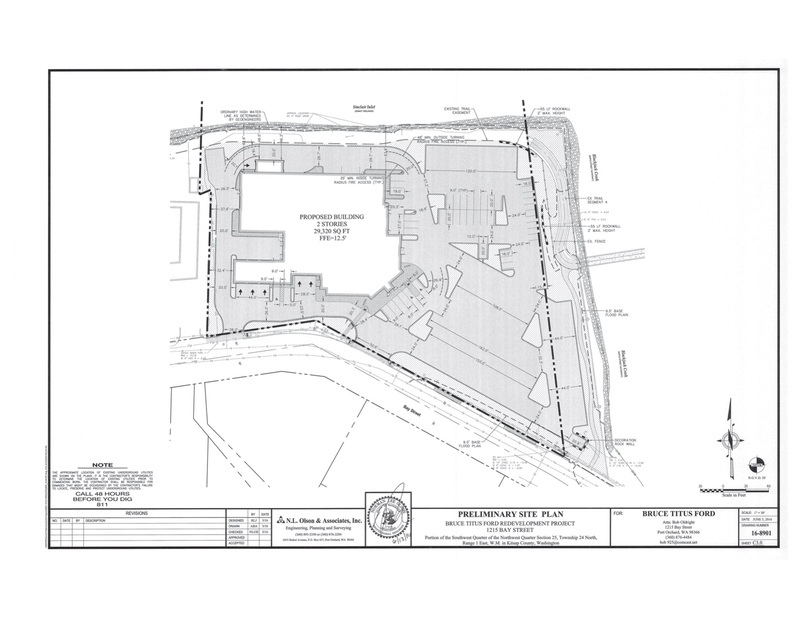 BP West Coast Products submitted the permit application for the 22003 Viking Ave. property. The city will accept comments on the application through Dec. 23. See the full notice below for details. Drivers headed out of town for the holiday will pay a tad more for a tank of gas this year than they did last Thanksgiving. 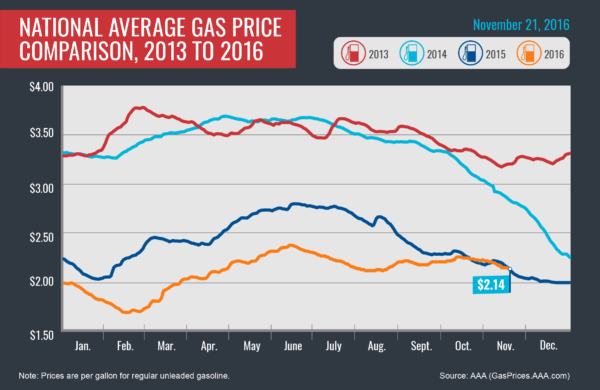 A gallon of regular gasoline was selling for an average of $2.58 in Kitsap County on Monday, according to AAA. That was up slightly from an average of $2.46 on the same day of 2015. Gas tends to cost less this time of year and an abundance of crude oil on the global market is helping keep retail prices in check. AAA projects 43.5 million Americans will take road trips for Thanksgiving this week. Permit applications filed with the city this month give a first look at Bruce Titus Ford’s expansion plans in Port Orchard. The Bay Street dealership recently purchased an adjacent lot where St. Vincent de Paul runs a thrift store. St. Vincent plans to open a new shop on Bethel Avenue later this year, and will continue operating on Bay Street until then. Bruce Titus Ford is proposing a two-story, 29,000-square-foot building on the site of the current thrift store. For perspective, the existing showroom is about 12,000 square feet. The existing thrift store building is roughly 26,000 square feet. 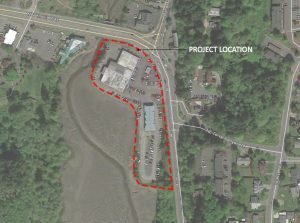 Port Orchard Community Development Director Nick Bond said the project will require a conditional use permit, shoreline development permit and shoreline variance. The Bay Street Pedestrian Path will be extended along the shoreline of the property via an easement. You can view the notice of application and SEPA determination of non significance for the dealership project here. Comments will be accepted through Aug. 12. According to county documents, Titus paid $1.65 million for the St. Vincent parcel, which was owned by Port Orchard Shopping Center LP. The two waterfront properties total about 3.3 acres. Business has been good lately for Port Orchard dealerships. New and used car dealers within the city reported higher gross sales in 2015 than in 2007, before the start of the recession, according to numbers from the state Department of Revenue. 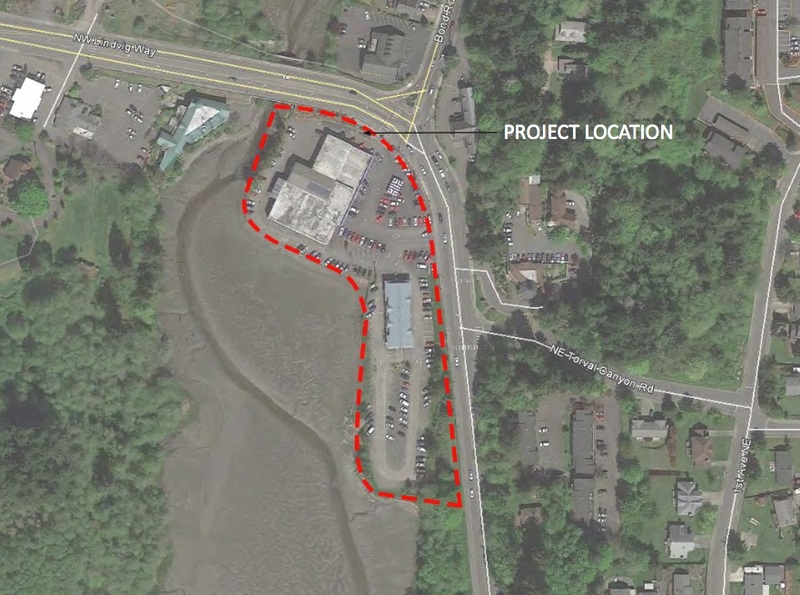 A Poulsbo property owner is considering a plan to redevelop a car dealership property at the head of Liberty Bay with a mix of shops and homes. The city received a pre-application submittal in June for a project called Liberty Bay Village, which would replace Liberty Bay Auto and a neighboring commercial building with a mixed-use development. In a project narrative attached to the submittal, architect Charlie Wenzlau said the project was designed to complement a planned extension to the city’s waterfront boardwalk. Wenzlau submitted the pre-application package on behalf of Dean Church, who owns the Liberty Bay Auto dealership, the 1.8-acre Liberty Bay Auto property and a 1.6-acre parcel to the south, which is home to a dance studio and auto glass shop. A pre-application conference with city staff is scheduled for July 19. The pre-app process allows developers to get feedback on the feasibility of a project before filing a formal permit application. In an email Tuesday, Church said he would be available to comment on the proposal later this week, and stressed it was a long-range vision for the property. 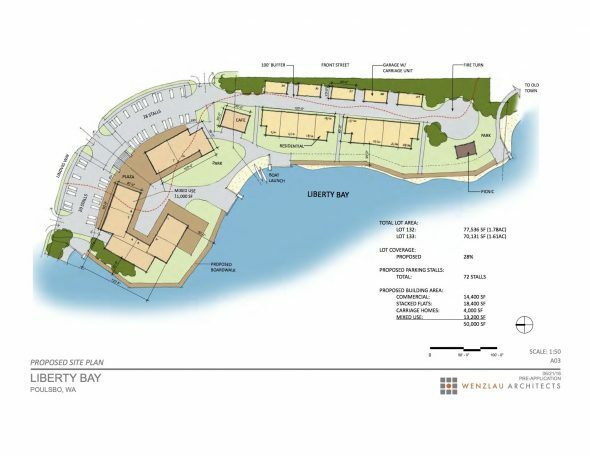 A cluster of retail buildings would be constructed on the Liberty Bay Auto property, with potential for apartments above. Two, two-story residential buildings are planned for the southern parcel. A line of “carriage” houses would add more homes along the east edge of the site. Overall, the project would create 35,600 square feet of residential space and 14,400 square feet of commercial space, served by 72 parking stalls. “We believe the project has the opportunity to provide a prominent anchor to the northern end of the boardwalk and enhance this intersection which serves as a gateway to Old Town Poulsbo,” Wenzlau wrote in the proposal. Click here to see the full pre-application submittal. Also on July 19, the city will hold pre-application conferences for two Housing Kitsap projects. 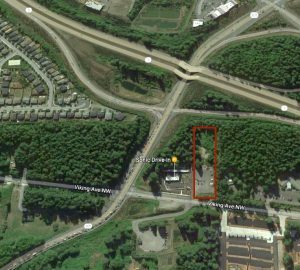 The county housing authority is collaborating with Sound West Group on the “NK Help Campus” proposal, which would bring a mixed-use development with apartments and commercial space to Viking Avenue property neighboring North Kitsap Fishline. And Housing Kitsap is working with Central Highland Homes on a “College Park” proposal for single-family homes and an apartment building near Olympic College Poulsbo. 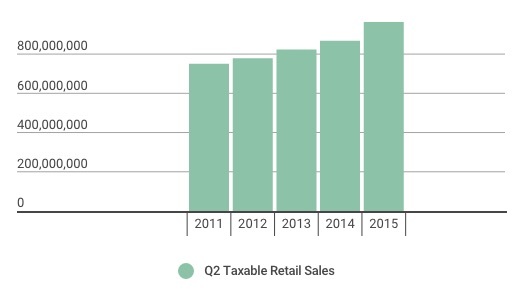 Taxable retail sales in Kitsap County took a big jump in the second quarter of 2015, increasing 11 percent from the same quarter of 2014. That was the largest year-over-year jump in quarterly sales for the county since the start of the recession. Sales totaled more than $963 million in the second quarter, according to the Department of Revenue. Statewide, retail sales reached $33.9 billion, marking a 9.4 percent increase from the same quarter of 2014. Sales reported by Kitsap’s retail trade industry in the second quarter were up 10 percent from the same period of 2014. Retail trade accounted for about $512 million of Kitsap’s taxable sales in the second quarter. 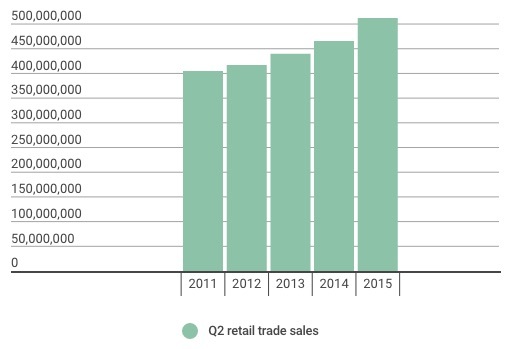 Retail trade sales include sales made by stores, dealerships, online sellers and other traditional retailers. The auto, building material and construction sectors continued their resurgence, posting double-digit increases from the second quarter of 2014. Though a much smaller player by sales volume, manufacturing enjoyed a 19 percent increase in taxable sales. One of Bremerton’s oldest auto body shops was just bought by a fast-growing chain. Gerber Collision & Glass completed a $550,000 purchase of Clifford’s Auto Body, at 327 Montgomery Ave. on Friday, according to Chris Horn of Strategy Real Estate, who brokered the deal. 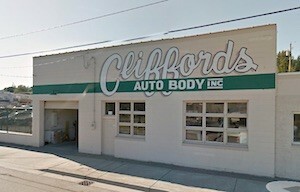 Clifford’s has been in business in Bremerton since 1933 and on Montgomery Avenue since 1956. Horn said owner Howard Froggatt will stay on as manager at Gerber during the transition and plans to open a smaller shop in another location. The Bremerton shop is the 20th Washington location for Illinois-based Gerber. “The Bremerton location complements our existing locations in the Seattle area and will allow us to serve new customers and our insurance partners in this western suburb,” Tim O’Day, president of Gerber parent company The Boyd Group, said in a news release. The Boyd Group is the largest operator of non-franchised auto body shops in North America by number of locations. Information on the Bremerton shop is available on the Gerber website. The Port Orchard Les Schwab will move from Bay Street to Sedgwick Road early next spring. Work has already begun on a 12,000-square-foot new tire center across from Fred Meyer. Les Schwab Assistant Manager Jim Flinner said the Bay Street center had become outdated. The new center will be roomier and allow easier access for drivers. The building is being constructed on a 2.7-acre lot and will feature eight garage bays. “It’s going to be a really nice facility,” Flinner said. Les Schwab expects to move south to Sedgwick in mid-April. Flinner said no decisions have been made on what will happen with the 1216 Bay Street property, which Les Schwab owns. 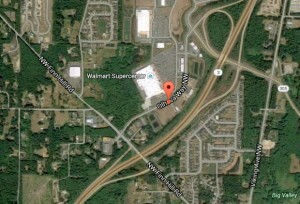 Developers want to build a commercial building and car wash near Walmart in Poulsbo. Olhava Group 3H & 3I, LLC. of Tacoma applied for a site plan review for an 8,470-square-foot retail building and 2,672-square-foot carwash on a 1.8-acre site. The property is located at 21205 Olhava Way (click the image to expand). A Silverdale truck bedliner company has filed for bankruptcy protection. Line-X Silverdale filed for a Chapter 11 reorganization Thursday in U.S. Bankruptcy Court Western District of Washington. The Provost Road company listed $500,000 to $1 million in assets and the same amount in liabilities in its voluntary petition. Listed debts included federal and county taxes. The company president did not return a call for comment Friday. 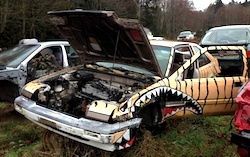 Eastside Auto Wrecking – in business since the 1940s – will shut down for good Friday. The East Bremerton wrecking yard has been in the Lillybridge family since 1981. Manager Mike Lillybridge said the family couldn’t keep pouring money into a business in rapid decline. A shrinking customer base, hard-to-work-on modern cars, and government regulations have made junkyards nearly impossible to keep open, he said. He said the work was hard but enjoyable. Friday was the last day Eastside would sell auto parts. There are still about 350 cars in the yard to strip and prep for the crusher. That process will probably take a month. Meanwhile the Eastside property is up for sale. Lillybridge said the 6.5 acres were listed Thursday at $1.5 million.